Baking the Steaks. The rule of thumb for baking fish is to allow 10 minutes of cooking time for every inch of thickness. 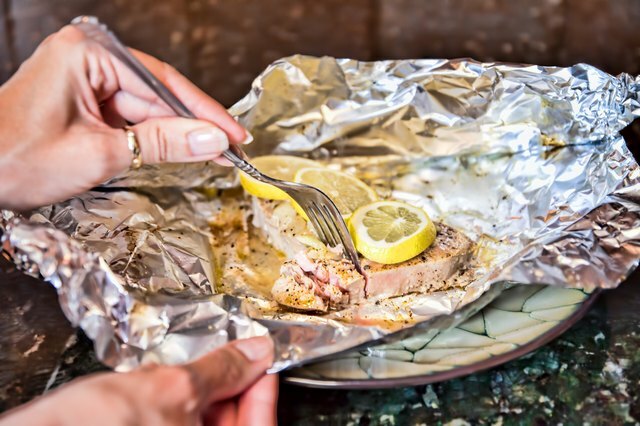 This is an especially easy guide with steaks of swordfish or tuna, because they're ordinarily cut to a thickness of 1 inch and therefore require 10 minutes of cooking.... Make a bag for your fish by tearing off a 35cm x 45cm strip of tin foil and folding it in half across the middle. Fold three of the sides up like an envelope, sealing the edges by brushing them with a little beaten egg before folding. 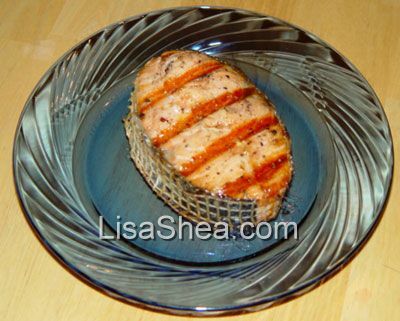 Variation: Place each fish steak on its own large piece of foil (around 16 to 18 inches). Turn up edges. Drizzle butter mixture over top. Fold up two opposite edges of the foil, and fold over to seal. Fold up ends and seal. Place on grill and cook until desired tenderness.... Baking the Steaks. The rule of thumb for baking fish is to allow 10 minutes of cooking time for every inch of thickness. This is an especially easy guide with steaks of swordfish or tuna, because they're ordinarily cut to a thickness of 1 inch and therefore require 10 minutes of cooking. The best way to cook the thicker fillets is to use 400� as the set temperature and bake the fish for 18-20 minutes. 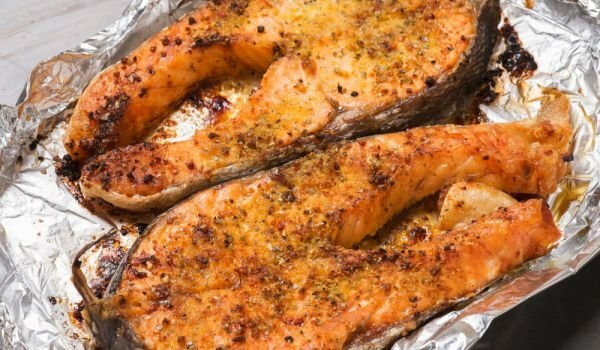 If a lower heat is desired, season the fillet and wrap it in foil, sealing it tightly and bake at 350� for about 25-30 minutes.